Directors Chairs have been around for hundreds of years, having their roots in the Roman Empire. In the late 1800s they became an American favorite. 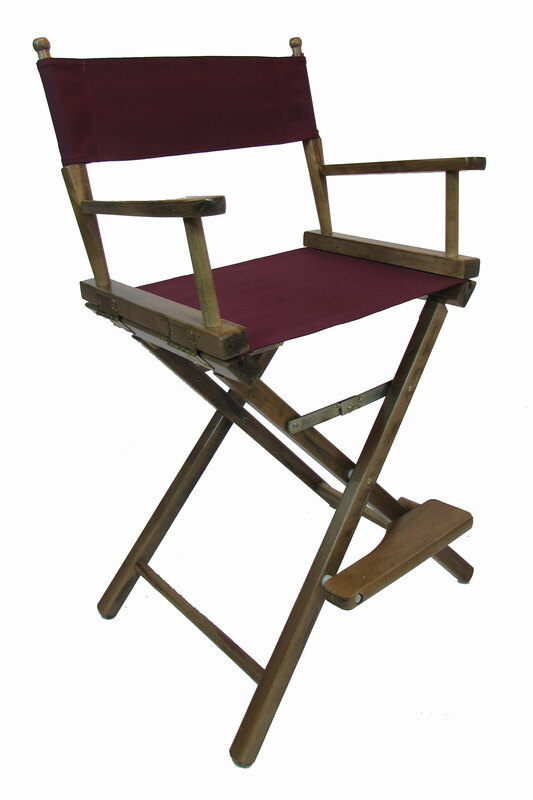 Most widely known as an actors chair for movie production sets in Hollywood; Directors Chairs are timeless in style, comfort and utility. 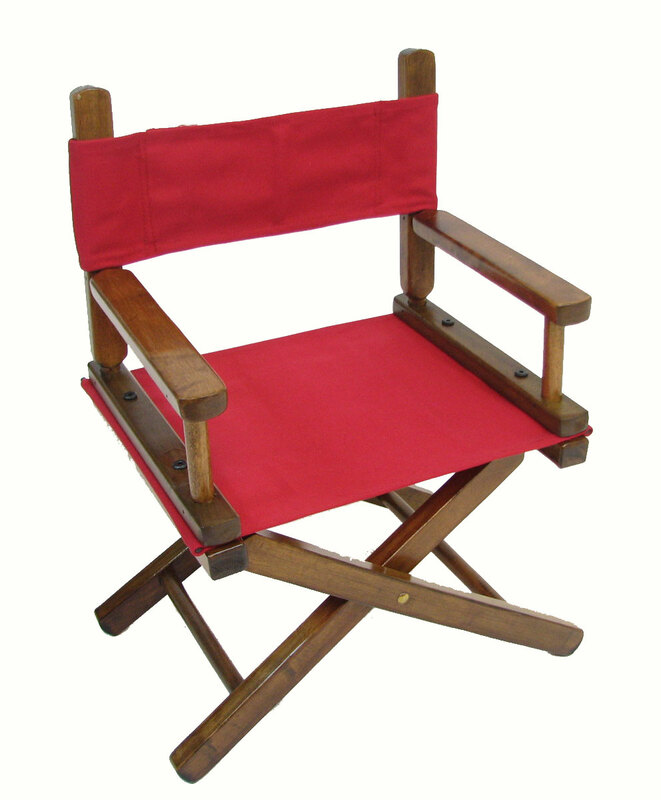 The frame of a Directors Chair can be made of wood, plastic or metal outfitted with a strong canvas fabric. 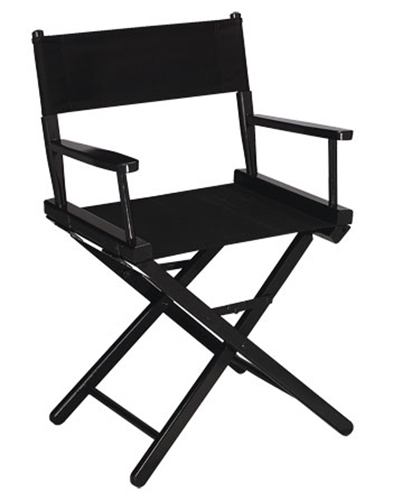 The Directors Chair is portable and lightweight, the scissor action of the frame allows for easy folding and carrying. All of our wooden directors chairs are 100% Made in America. Everywherechair offers several varieties for sale; a portable short directors chair, a counter height director chair and a tall directors chair. Everywherechair also carries Kids Directors Chair and plenty of Director Chair Parts, Backs and Accessories. 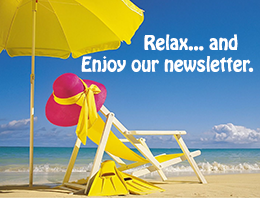 Whether you need portable, flexible seating at a trade show, or casual seating around a game of cards in your living room... you will find exactly what you need here. Table height directors chairs have a seat height of 18 inches and fit nicely under any table. These short directors chairs are ideal for outdoor use or camping. Counter height directors chairs have a seat height of 24 inches and fit nicely under a kitchen counter or other tall table. 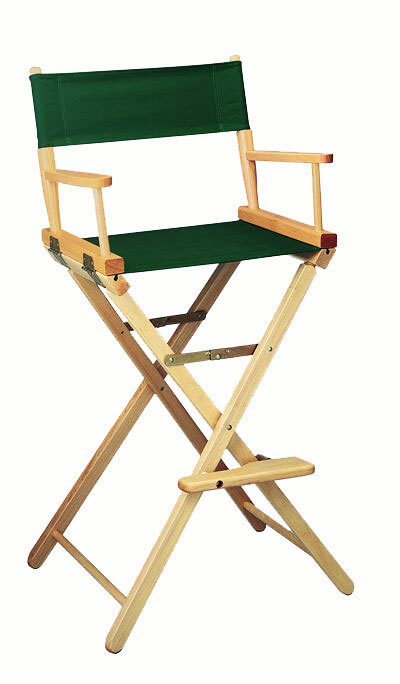 A 24 Inch Director Chair is a taller chair, but still very portable and easy to fold. Bar height directors chairs have a seat height of 30 inches and fit nicely under a bar or tall table. These Tall Director Chairs are still easy to fold and sit in. Easy to use and Portable, a Kids Director Chair is just the right size for the little "director" in your house. Optional accessories for your directors chair include travel bags, script bags, cup holders and more. 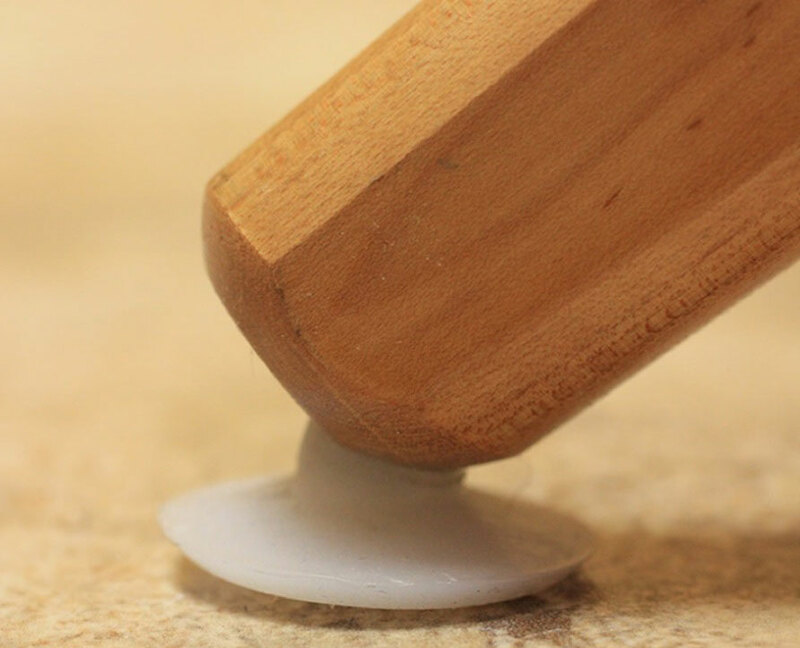 We also carry a large stock of replacement parts, nylon feet and seat backs. Whatever you need, you'll find it here.